**THIS MUST BE THE BEST LOW MILEAGE PEUGEOT PARTNER ATV ABOUT**STUNNING INSIDE & OUT**FULL IMPECCABLE SERVICE HISTORY HAD A SERVICE EVERY YEAR REGARDLESS OF MILEAGE**CENTRAL LOCKING**ELECTRIC WINDOWS**C/D RADIO**TWIN REAR DOORS**SIDE LOADING DOOR**EXCELLENT CONDITION TYRES**WILL BE MOT'd & SERVICED WHEN SOLD**THESE ARE A SUPERB VAN THAT COPE VERY WELL IN ALL WEATHER CONDITION** wirksworthcars.com formally known as baileycroft vehicle sales is family owned business in Derbyshire. All our cars are fully HPI clear and screen price retail sales include mot and service. 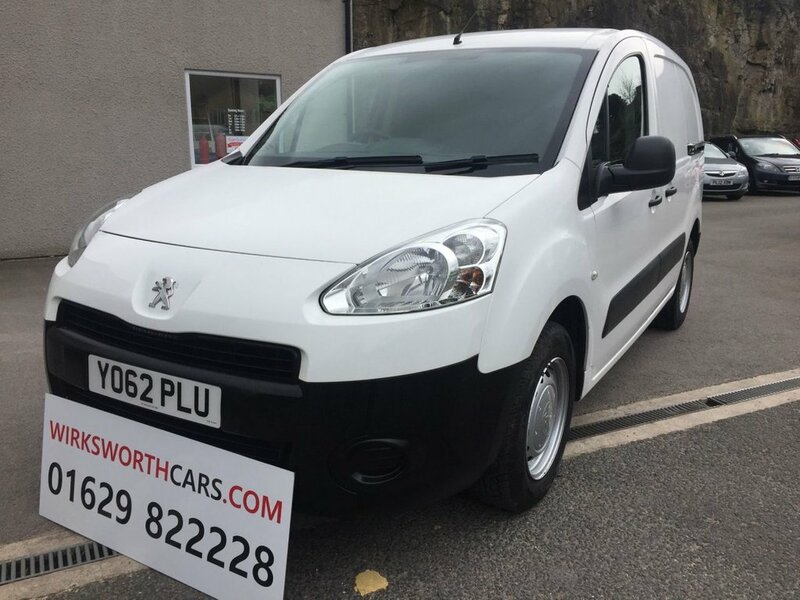 Finance is also available subject to status please feel free to call either Darryl on 07979 225347 , Sam on 07912 284421 or Paul on 07725979246 for any further help or to book a viewing.